2015-18 grants to include continued support for the Royal Opera House and many of our partner organizations. This morning, along with hundreds of other arts organizations and museums across England, the Royal Opera House was told how much funding it will receive from Arts Council England between April 2015 and March 2018. Arts Council funding currently accounts for 22% of the Royal Opera House’s annual income. Without this sound foundation, we would be unable to maintain permanent companies of the sheer quality and ambition of The Royal Opera, The Royal Ballet and the Orchestra of the Royal Opera House; let alone continue to price 40% of our tickets under £40, commission new work or undertake such a wide range of learning and participation projects. This morning Arts Council England confirmed that the Royal Opera House will remain one of the 700 organizations receiving an annual grant as part of the National portfolio. In light of continued public spending cuts, we knew that we would need to absorb another reduction in our funding. Since 2010, our grant has been reduced by 11%, which is equivalent to £11.8m. Today we’ve been told that there will be a further reduction of 3.7% in real terms, equivalent to £0.6m per annum, between April 2015 and March 2018. In addition, we’ve also heard that the continuation of ROH Bridge has been confirmed. Bridge is a nationwide Arts Council programme that connects schools, young people and communities with artists, arts organizations, museums and libraries. We deliver the programme in Essex, Hertfordshire, Bedfordshire and North Kent. Last year alone, ROH Bridge worked with more than 343 schools and other educational organizations plus 143 cultural organizations, enabling over 14,000 young people to take part in projects and a further 10,000 to attend an event or performance. This morning’s announcements also included confirmation of funding for a further eight opera organizations, 57 dance organizations and many of our partners: Britten Sinfonia, English Touring Opera, London Sinfonietta, Northern Ballet, Mahogany Opera Group, Phoenix Dance, Shobana Jeyasingh Dance Company and Streetwise Opera, all of whom who have performed with us over the past year; co-producers Aldeburgh Music and Opera North; regular visitors the London International Mime Festival; Balbir Singh Dance Company, Pavilion Dance South West, StopGap Dance who are all taking part in our ROH Links skills sharing programme; East London Dance with whom we run our Street Stories project; and our neighbours and collaborators at High House Production Park, the National Skills Academy. Congratulations to all of them. Although the foundation for much of our work, Arts Council investment is complemented by other sources of income. The quality, breadth and reach of our work is only possible through your support as ticket buyers (whether in Covent Garden or in cinemas) and, crucially, as members and philanthropists. Last year you made voluntary contributions of £24m and this year, for the first time, fundraising income is expected to exceed our National portfolio grant from the Arts Council. Every donation, however large or small, makes a difference and I would like to thank all of you who give. Although a further reduction in public funding is difficult to absorb and will require imagination and tough choices ahead, we appreciate the continued confidence shown by Arts Council England in our work, as shown by their continuing investment in the Royal Opera House as a National portfolio and Bridge organization. 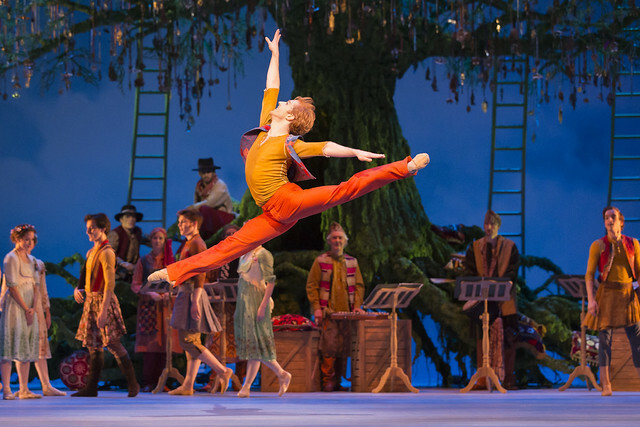 Find out more about how you can support the work of the Royal Opera House. Thanks for your comment. The Royal Opera House uses the Oxford spelling '-ize'. You can find out more about this spelling and the history of its use in British English here.